I can't believe that it is May already! There are so many fun and exciting things happening this month! *The mould for James' birthday cake arrived during the week! He has asked for a -wait for it- m&m, malteaser, dime bar and toblerone cake. Good to see he's not too picky! *My new book arrived this week and I wasn't expecting it until the 13th! *Today we met a Krishna guy from whom I bought the most fabulous book! 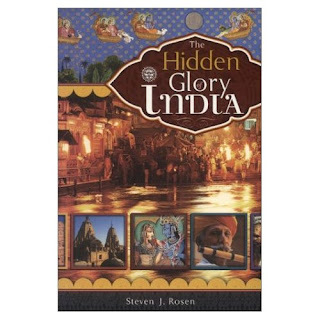 It is called the Hidden Glory of India and discusses where the religion grew from and tells in detail the stories of all the different gods, customs etc... I haven't put it down since I came home! oh darling lu! you have the most PLEASANT blog. it makes me happy to read it. yay for MAY!